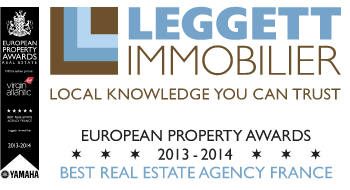 Leggett Immobilier, the premier English speaking estate agent in France, has signed a 3 year sponsorship deal with the ski club in St Gervais les Bains confirming its commitment to helping the local children at grass roots level to become tomorrow’s champions. With nearly 200 members from the age of 5 to 20 , covering Alpine and Snowboard disciplines and the new ski jumping section, the club also fulfils a vital role by training members to become ski instructors, and to a standard required to train as ski patrol. The club is going from strength to strength with members competing in international, national and local races with a string of podiums over the 2013/14 season. Club President , Anne Chantal Grevy Pigelet said; “we are delighted to receive the support of LEGGETT IMMOBILIER for the years ahead and look forward to a successful cooperation for both parties.